At school once I think I was talking to David about the idea of a endurance race in the Fujitsu Dev. Series. Now it has been leaked in AutoAction, with news that several big name drivers will be racing in the endurance race. I think it will be a 500kay race at Wakefield Park. Yes, I'll expect that as well. Like what John Faulkner did to Tony D'Alberto taking him straight out of FF Victoria! Apparently it won't happen until 2009. SHAME! You can't just snap your fingers and hope its gonna happen. You have to organise the event with the FDS board, attract a few sponsors, make sure everythings set, advertise the event. It's a lot of hard work. Exactly, give other guys a chance. I mean, look at today. Only 31 cars. In 1999 there were 55 which gave many young blokes the chance to race. 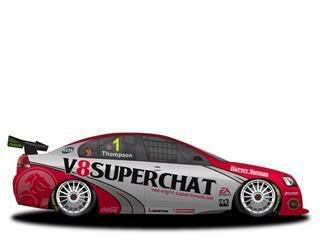 Now only guys from V8 Supercars and V8 Dev Series are racing pretty much.